Mix the oyster sauce, soy sauce, sugar until dissolved and set aside. Fry ginger, garlic and spring onions in peanut oil until spring onions wilt. 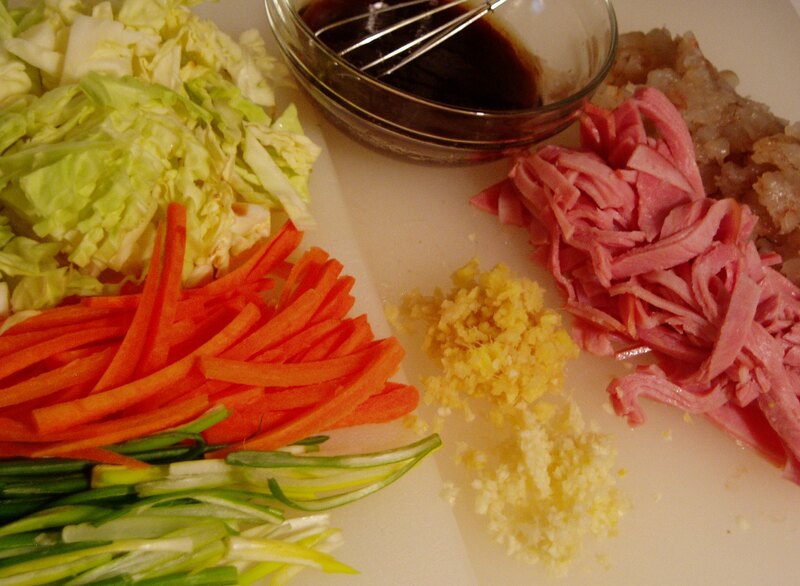 Add carrots and cabbage stir fry for 30 seconds to a minute. Move vegetables to side add ham fry and cook until pink. 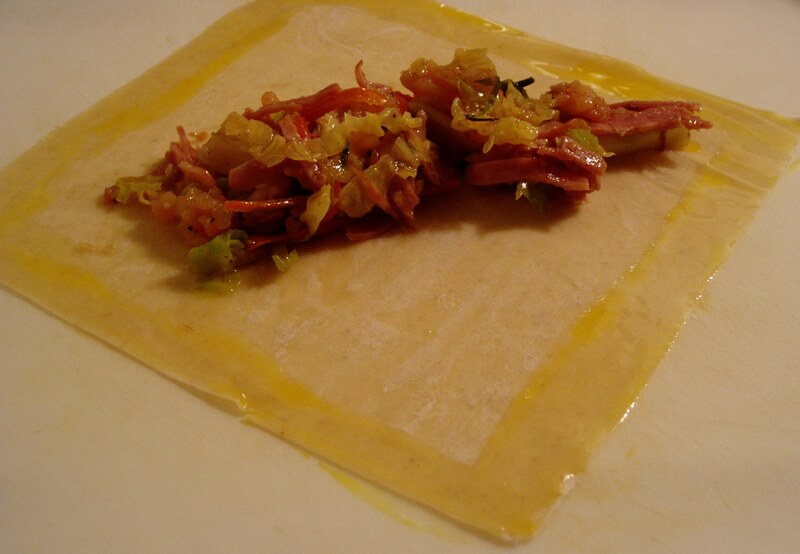 Add ham fold in sauce mixture and stir until any excess moisture in the mixture has evaporated. Lay out wrappers on a flat surface, moisten the top edge of the wrapper with beaten egg, place about a tablespoon of the mixture diagonally, fold the lower corner upwards and roll up followed by folding the left and right corners, finish with the top. 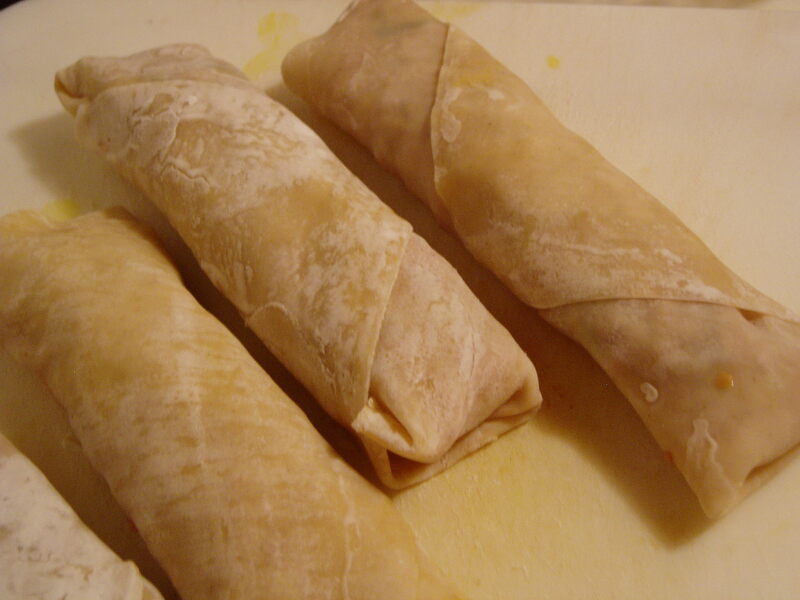 Keep wrappers and rolls covered with a damp paper towel or cloth to keep them from drying out. 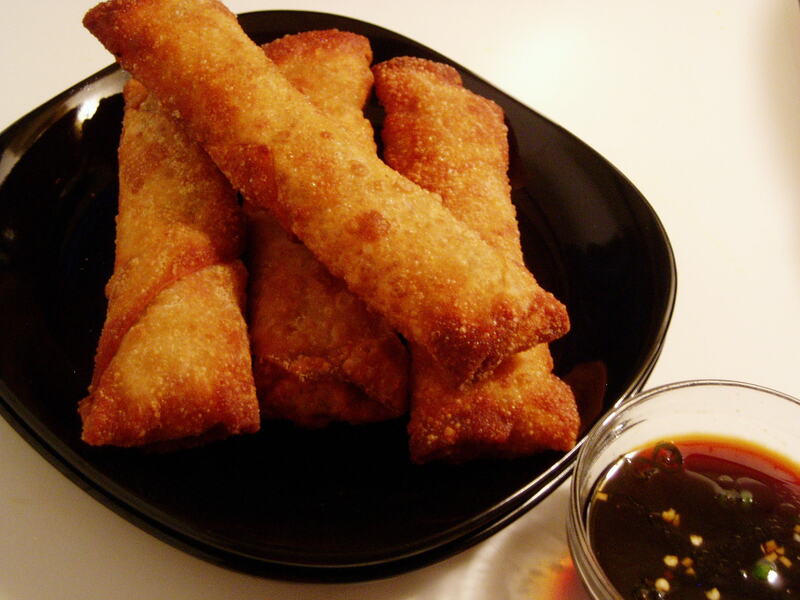 Heat 1/2 an inch of canola oil in a frying pan and fry the spring rolls for about 3 – 5 minutes on each side. Set aside to drain on paper towels. Move to an oven at 300 degrees to keep them warm and crisp. Make the dipping sauce by dissolving the brown sugar in the water, add soy sauce, Thai chilli and minced garlic. Dip and eat. So very well put (what a great intro!) and so very true. Thank you Bashirah 🙂 I’m glad you like it.